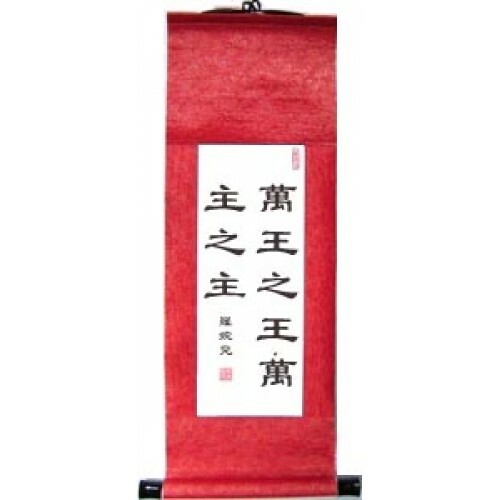 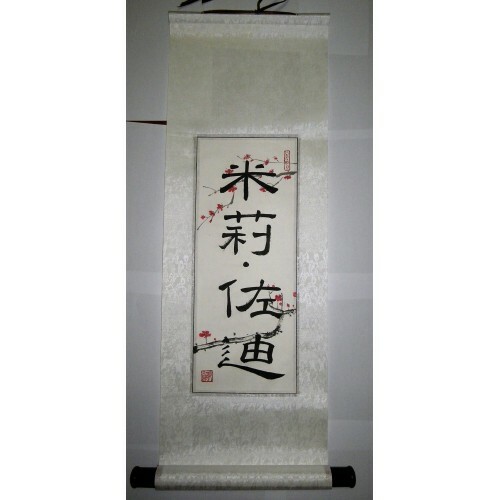 This wall scroll features the Chinese symbols for the phrase "King of Kings and Lord of Lords." 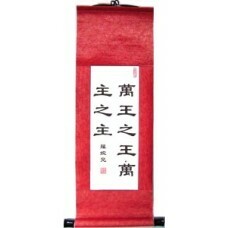 Every Chinese Christian can understand this phrase immediately as referring to Jesus Christ. 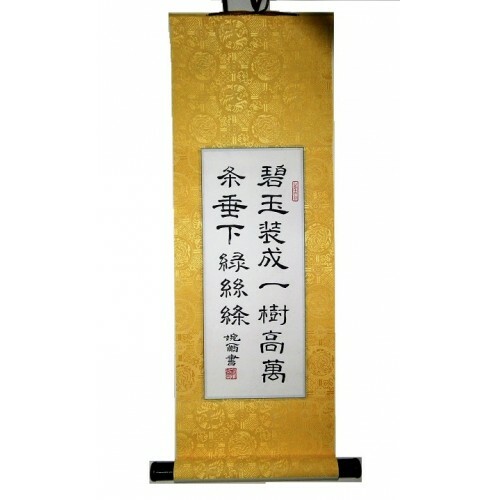 This scroll is an excellent wall hanging for your home to remind your entire family who is the King of your household and that all of your actions should glorify Him.